Some developers just have the knack for making JRPGs, and Koei Tecmo never fails to impress me time and time again. Each of their JRPG style games have been more addictive than the next, and they are classics despite suffering largely the same drawbacks of story, character design, and general immaturity that its peers are mired with. Nights of Azure 2: Bride of the New Moon is an active action, hack and slash style that is stylistically indistinguishable from the dozens of games made in that vein over the past decade. Then when you play it, the layers of its excellence start to reveal themselves. I found that the more I played, the more in a sort of “addicted rhythm” I was finding myself in. I stop judging, I stop caring about quality, and I just get focused on advancement in the game. This is the phenomena that I remember from being a kid and finding myself suddenly in love with a bunch of Japanese games that I otherwise had zero interest in. It is a special feeling of being able to quickly understand and groove with the game that Koei Tecmo has managed to capture time and time again. It is hard to explain, but it seems to be an intersection of ease of learning, game simplicity, and a unique gameplay element. 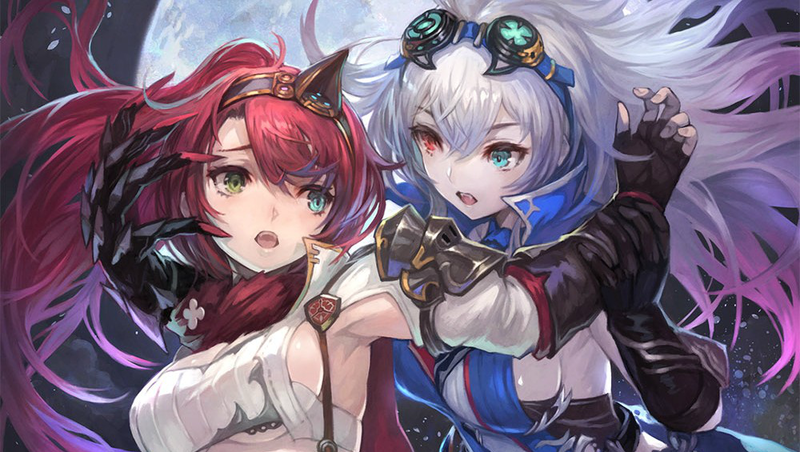 Nights of Azure 2 tells the story of Aluche, who is killed and resurrected as a half-demon girl. Her resurrection has caused her to become both more powerful and more rapidly fatigued, as her body recovers from death and absorbs the demonic powers she now possesses. The story is a vague, world is ending and we need to save it mess, and it does have that old time standard of characters involved in massive, life altering events who seem oblivious to the scope, instead focused on the mundane and adolescent interactions that most characters have. The story just is not that important overall to the game experience, however. If you’re a fan of that style the story will probably be very pleasing.Otherwise it’s the gameplay that really matters and it truly shines through the muck. Quick paced, with some interesting active elements that keeps each battle exciting, the battles feel fresh and new. Exploration that requires planning and unlocking new characters is paired with a time limit element very reminiscent of Majora’s Mask that makes the game feel more urgent. On the map, you’ll be set with a “hunt time” which limits the amount of time you can spend on the map. You’ll be exploring out further and further with each hunt, and it takes careful planning to be able to complete tasks within the limit. There isn’t much of a penalty for going over the time limit, but it will advance you one day and send you back to the luxury hotel that serves as the home base. The moon has a rune-like spell cast upon it, making it the “Azure Moon.” Each time you go out onto the map, you spend a day and the moon cycle gets closer to the New Moon. When the New Moon appears it’s game over. Defeating large bosses turns back the moon’s cycle and gives you more time to operate. This dynamic is present throughout, making you work fast and efficiently. Battles are pretty simple, hack and slash affairs where you’ll mash buttons and move around quickly. There are special combos you can trigger with your party companion, and a big finisher move that builds as you attack and win. The big difference is that the party is split into two separate categories, one set of two where the main characters are, which is the main character Aluche and one companion, and the other two being smaller creature companions called “Servan”. The Servan act as special attackers that you can use to summon special weapons or abilities (they also fight on their own while you aren’t using them). Secondarily, they have abilities that you’ll need to utilize to get through different obstacles on the field. These creatures serve as sort of a mix between an item and a summon, and add a extra layer of strategy to the battle system. I do wish that the fights had a little less button mashing and a little more actual strategy to employ, but the extras give the simplistic system a nice gilded sheen that gets me through. This game has a lot of interesting and fun elements but it does ultimately lack in dynamic moments. There are some changes based on where battles trigger, but otherwise the game does find a monotonous groove after a while that drags the experience down. I liked the soundtrack, the music is suspenseful and upbeat and fits the situations well. There are no jarring songs that take me out of the moment, and this is matched with a fairly decent voice acting job done throughout. The character and enemy models are all very well detailed, and the colors and lighting that are used on some of the enemies make them look truly disgusting and otherworldly. The game is attractive, sounds good, and presents itself with a nice sense of seriousness despite the aforementioned dialogue issues. Nights of Azure 2: Bride of the New Moon is another Koei Tecmo game that looks like so many others, but plays with a special mix of ease and uniqueness that makes it compelling and addictive. There are many fun elements for exploration and battles, not the least of which is a time limit system that keeps you moving and searching for better ways to complete tasks. Despite some monotony as you progress, there is a ton to enjoy in this fun and simple game.